Most people are surrounded by a caring and loving family. As a Result the chances are that elder abuse will not be an issue for these people. On the other hand many people are still taken advantage of by family members as well as scam artists. But the banks can help in a number of ways. 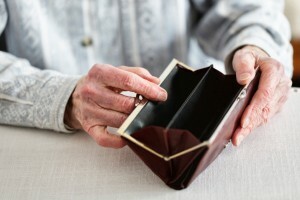 Further with baby boomers aging banks failing to stop elder abuse in a financial sense is a real issue. They are assessing adding safe guards. They will monitor unusual amounts of money being with drawn from accounts. They can alert appropriate people. As a senior you have to tell the banks who they should contact and when. Above all there is a part for the senior and the care giver to play here as well. While the banks figure this out there are a number of things that individuals can do. First you can manage abuse of your own accounts or on accounts that you are managing for someone else. For example all banks now offer email alerts that can be set at various thresholds. An email is sent to the specified address any time this threshold is exceeded. This is an excellent way to keep track of what is going on in someones account if you are a caregiver. As a senior you may want to have more than one person manage the account. Moreover this will help to avoid temptation for a single care giver. Make sure that there is a living will that specifies who can manage your affairs if you are incapacitated. Set up the safe guards as mentioned to avoid being scammed. Or finding that all of your money has been removed by someone who you trusted. Tell the bank who this person is. Add controls on the account to avoid large sums of money being removed without your knowledge. 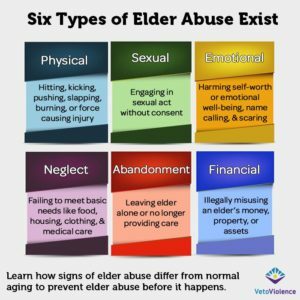 Take control of the elder abuse possibility yourself. Avoid becoming a victim. For more details about managing your lifestyle as we age, click here. This entry was posted in Life Style and tagged Elder Abuse on 2016/06/21 by ernie.